Shares of Vakrangee hit upper circuit of 5 per cent for the third straight session on Wednesday after the stock tanked a whopping 62 per cent in the previous nine sessions. The stock rallied as much as 15.74 per cent to Rs 222.70 on the BSE since February 9. The gains came after the company, in its board meeting, approved the one-time capital allocation policy, which entailed the deployment of funds towards share buyback, dividend pay-out and re-investment in the business. While the stock may have bounced back, analysts advise avoiding any shoter-term trade in the scrip. "The bounceback was expected as the company made some announcements on buyback and dividen pay-out. 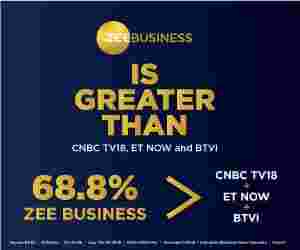 The company has also received clean chit from the market regulator Sebi," told Rakesh Bansal, VP, RK Global to Zee Business. "Bansal believes the stock has touched its bottom, but given the wild swings, it's advisable to avoid shote-term trade in the stock," he added. Meanwhile, as per the announcement post Board meeting, the company had total available cash of Rs 1,372 crore as on December 31, 2017, and it intends to deploy Rs 1,000 crore for share buyback where the promoters will not partake in the process, Rs 250 crore for the dividend payout. Further, the one-time capital allocation policy entails Rs 122 crore to be utilised for re-investment in business for Organic Business Growth, Technology and R&D, Training Infrastructure, Brand Building Initiatives and Contingency Fund. On a long-term basis, the company will allocate two-third of the available free cash flow, towards dividend payouts and share buyback and one-third will be used for investing in the business. Incorporated in 1990, Vakrangee is a technology-driven company focused on building last-mile retail outlets to deliver real-time banking, insurance, e-governance, e-commerce and logistics services to the unserved & underserved rural, semi-urban and urban markets. The stock of the company is a multibagger and even after a sustained downtrend for last nine sessions, its five-year return adds up to nearly 500 per cent.